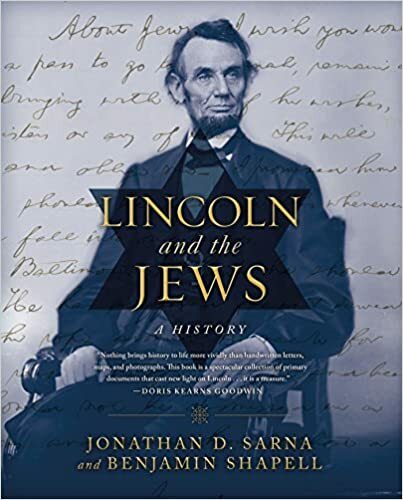 Lincoln's lifetime coincided with the emergence of Jews on the national scene in the United States. When he was born, in 1809, scarcely 3,000 Jews lived in the entire country. By the time of his assassination in 1865, large-scale immigration, principally from central Europe, had brought that number up to more than 150,000. Many Americans, including members of Lincoln's cabinet and many of his top generals during the Civil War, were alarmed by this development and treated Jews as second-class citizens and religious outsiders. Lincoln, this book shows, exhibited precisely the opposite tendency. He also expressed a uniquely deep knowledge of the Old Testament, employing its language and concepts in some of his most important writings. He befriended Jews from a young age, promoted Jewish equality, appointed numerous Jews to public office, had Jewish advisors and supporters starting already from the early 1850s, as well as later during his two presidential campaigns, and in response to Jewish sensitivities, even changed the way he thought and spoke about America. Through his actions and his rhetoricвЂ•replacing "Christian nation," for example, with "this nation under God"вЂ•he embraced Jews as insiders.